The hook-type earpiece has a swivel earpiece to allow use in left or right ear. 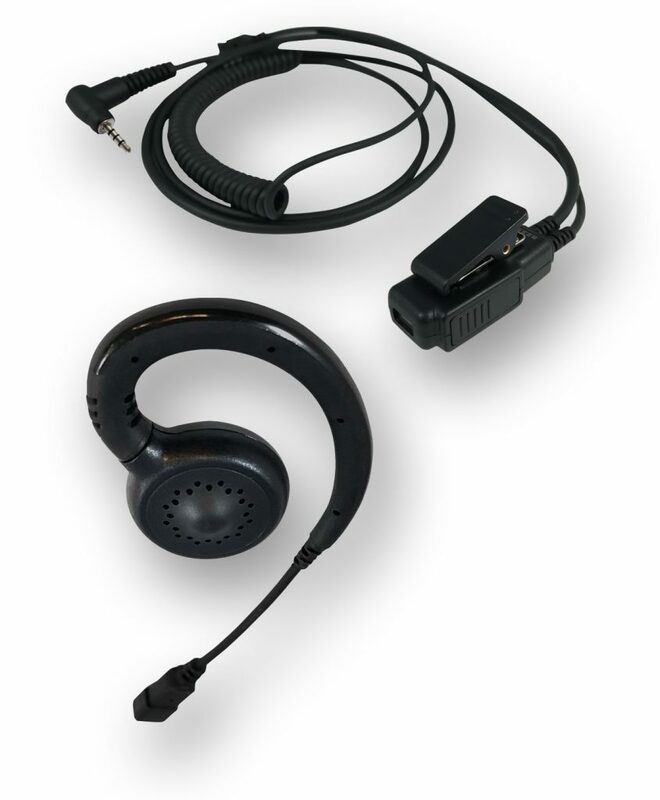 The SN-ULTRA-EPMH is a Kit that includes: the SN-ULTRA-EPEH over-the-ear "Hook" style of earpiece that does not insert into the ear and can be easily cleaned, as well as the SN-ULTRA-EPM microphone that plugs into the handset and is designed to clip onto clothing to remain secure for good voice transmission. The hook-type earpiece has a swivel earpiece to allow use in left or right ear.